What’s your new technology worth to customers? Price is one of the most important ways to position a new technology. So how do you decide? One simple way is to look at similar types of technology and price your offer relative to them. But should you be the same, more expensive or cheaper? Or what if there’s nothing out there comparable to your offer? 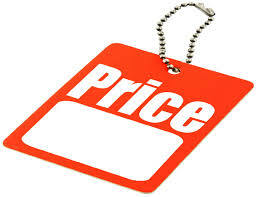 And what pricing formula best suits your business model? How can you work it out? The value of anything depends on which customer segment is buying and why. Understanding the alternates available to them, the value on offer, their expectations and experiences and their purchasing behaviour is a tremendous way to understand pricing. And not only that, you get see to which business models are in play and their relative strengths and weaknesses. Finally you get to understand where your brand stands relative to the others. A new hardware brand entered an old market with some 40 competitors. In the early days it priced itself at a discount to the market leader in its segment. This made less margin for resellers and less for the distributor. But customers highlighted material advantages based on their usership. So we repositioned it, priced it at a premium to the market leader and three years on it had grown share from 0% to 19%. Pricing is not as simple or straightforward as it seems. Which is why talking to customers about their behaviour can provide crucial insight that could make you more margin and faster than you already are. Worth finding out?